Let’s start this lesson with full disclosure. I am a part-time, often-volunteer editor for a small publishing company. That being said, for the past three years I have been representing WhiteFire Publishing at conferences and reviewing submissions for them. Probably the best perk I’ve gleaned from this experience is a huge improvement in my own writing, and especially in knowing how to make my own submissions sparkle for bigger publishers. So I’m going to do a series sharing some of the lessons I’ve learned. Today let’s start with those all-important first pages. The sad truth is that for the majority of the manuscripts I read, I never get past the first page. Keep in mind that WhiteFire accepts unagented submissions, so I imagine that statistic is different for bigger publishers. You might wonder how in the world I can tell a manuscript won’t cut it by the first page alone, but a first page can tell you a lot. It can tell you whether or not a writer has done their job to learn the craft, it can tell you if they’re lazy, and it can tell you if they possess any talent. Here are a few of the red flags that will stop me reading right on the first page. There you go people, that little list alone saves me reading farther on over 50% of submissions. If I see any of those problems on the all-important first page, I know that matters can only go downhill from there. As a publishing company, we simply don’t have the time or energy to put into fixing any of these issues, no matter how brilliant your idea might be. Now don’t get me wrong, I realize not everyone excels at opening scenes. I understand the paranoia of crafting the perfect hook. I know that some people aren’t good at nailing down exactly where a book should start. But if you haven’t mastered the basic writing craft yet, as attested by the red flags above, those other issues are immaterial. If the writing is good, but the opening is weak, I might read on. Occasionally if someone is “telling” a story with a really nice style, I will skip ahead a few pages to see if they shift into “showing.” And I’m not going to turn down a manuscript over a typo or a misplaced comma, but if I see a handful of those sorts of mistakes on the very first page, that’s just lazy, so forget it. I used to overuse the "not a fit for our company" phrase in my rejection letters, which really meant, "your writing is too awful to be a fit for our company," but I don't do that anymore. For books that I don't make it past the first page, I figure a simple "no thank you" will have to suffice. When I say a book is not a fit, it means we don't publish that type of book. And when I offer suggestions for improvement, that's a good thing. It means the project has potential. If you pass the all-important first pages test, and I actually get through a good scene or chapter of your book, I will then put it on my kindle and read it like a reader, not an editor. At that point, I’m mostly looking to see if I enjoy the book and if it holds my interest. If I actually read through to the end, I might ask for some changes, but I will likely be sending the book forward to my senior editor. In my next lesson we’ll look at some of the reasons I might stop reading a novel by an otherwise competent author. Click here for lesson 2. As a reader, what do you look for on the first page of a novel to decide whether or not you will read on? Too many characters, cliche dialogue, a sense that all is right with the world - these are all things that I can't read past. I like writing that is natural, not forced. And yes, I think people really can tell. In fact, I'm reading one right now that is forced. I'm hoping it will help me fall asleep. My own mood has a lot to do with what I choose to read. Sometimes, most times, I like a book with a sense of danger - ala Irene Hannon or Harry Kraus. And if I need something peaceful and more comforting, a nice Julie Klassen will do. I'd long heard that an editor could tell by the first page (what? but then she'd miss the really good stuff in chapter 2...) if she liked a submission. One year I was judging the Golden Heart, a contest for unpublished writers that consists of approximately the first 50 pages. At that time, GH judges gave each entry a single number on a 1-9 (9 high) scale. I decided to try the one-page read for myself. I took my 6 or 8 entries to judge. I read just the first page, and I wrote down a score based on that page alone. Once I had all of them done, I went back and read the entire 50 pages for each entry and gave it a score. Then I compared my final score (based on all 50 pages) to my preliminary score (based on one page). In almost all cases, the number was the same. The only time it changed was when I graded DOWN because I noticed problems with plot or such on as the story developed. Not a single time did I raise the preliminary score. That is so interesting, CJ. I've heard that editors/agents can tell from the first page and although I suspected it, I never took the time to confirm it like you did. Good show! And Thanks. Suzie, I'm not sure that I've mastered being able to tell if something is natural in the first page. That probably takes me a chapter or so. C.J., you've hit the nail on the head. Unless I have some odd unanswered mystery I need to figure out (like, I simply must know if this is head-hopping or legitimate omniscient view) there's really no point in reading past that first page. holy smokes! this is really cool info Dina. and CJ... wow on your first page experiment. i'm looking forward to seeing the next lessons (after i go back to look for red flags in my MSs). this information isn't really new, but it's presented with a different POV that creates a good smack to the ol' grey matter. Very helpful information for the not-yet-published among us. 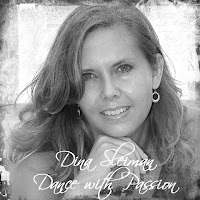 Thank you for sharing, Dina! Good info. I know I try to create a strong first page (and sentence!) but it's tough to do. This is always a good reminder, Dina. I know it's going to help a lot of people. And CJ, cool experiment. It can hard to define what works, to put it in a neat little box, but I think we all know it when we see it. This is very good, Dina, thanks for posting it.